Paul is a pivotal connection point inside and outside the company. He manages all ongoing supplier relationships and selects new products and vendors, plus he guides open communications between the sales team and the operations, purchasing, accounting and design departments to keep everyone moving toward the company’s common goal: making the customer more profitable. A key objective for Paul is training the sales team to get to know and fully understand a customer’s goals, so that they can offer a full, customized solution that reduces their overall packaging costs. For example, package designs or redesign, freight reductions and reducing labor through automation. Paul came to Arnold Packaging with 18 years of experience working for one of the most successful packaging supply manufactures in the industry: Sealed Air. 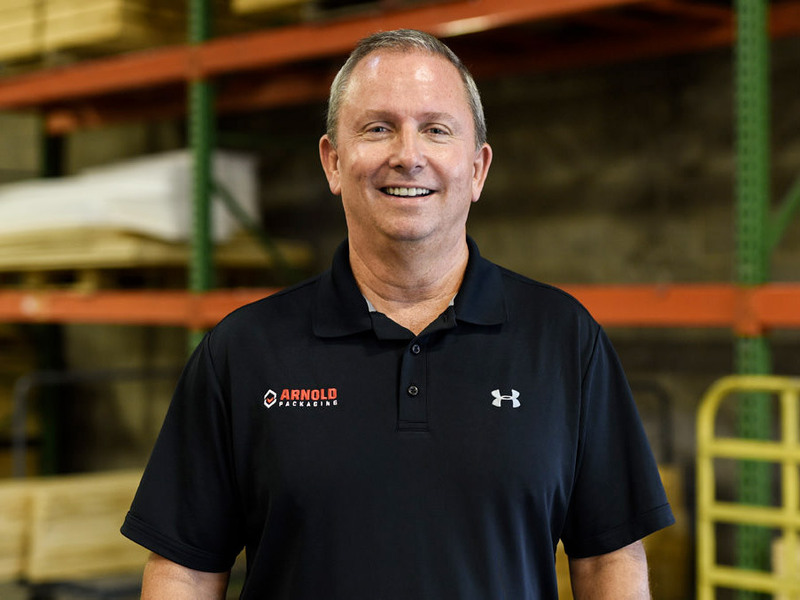 Since joining Arnold Packaging in 2008 as vice president of sales, Paul’s responsibilities have included setting the annual company sales forecasts and gross profit plans, working closely with each sales representative to attain their annual objectives, and implementing marketing strategies. He also maintains the relationships for several key accounts with leading defense contractors, third-party logistics companies, and government and military clients. Paul graduated from Archbishop Curley High School in Baltimore, Md., and then earned a degree in business and marketing from Towson University.